Year after year Stroke survivors, family members, healthcare professionals and the community come out to join KSISA for the annual Strides for Stroke Walk. This walk is a open to the community event. Held at one of the many parks in Louisville, KY. The event offers educational material, support, resources, awareness, and exercise to the Kentucky and Southern IN communities. Strides for Stroke Walks are a major fundraiser for KSISA and the funds raised are necessary to reach further in providing educational information to more people affected by stroke throughout Kentucky and Southern Indiana. 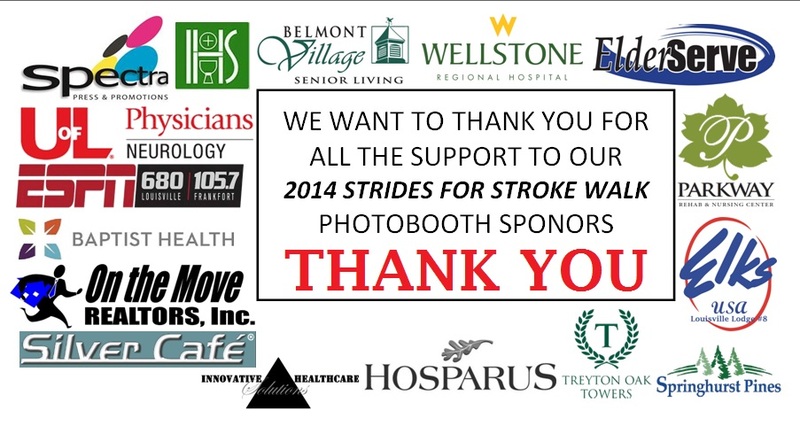 To learn more about the Strides for Stroke Walk coming this fall follow this link. 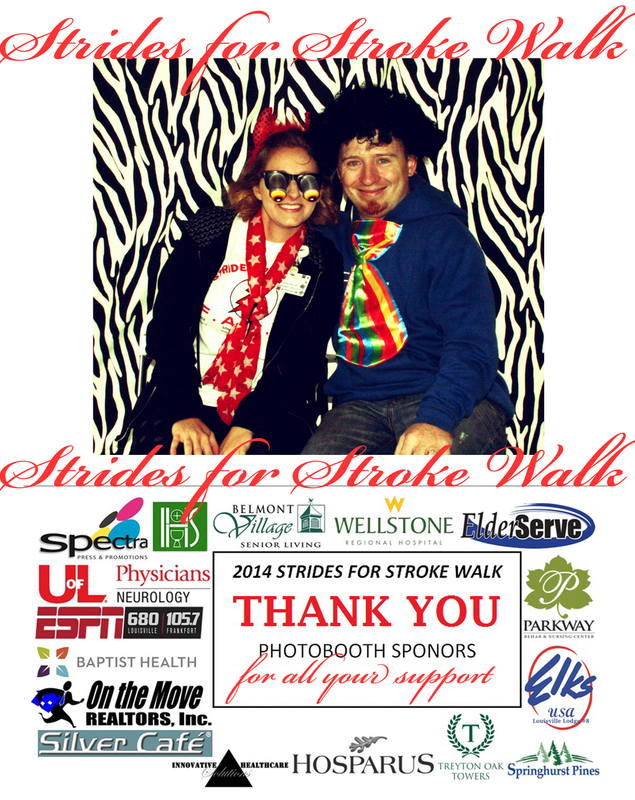 KSISA has been blessed to have Mike Brown Chair the Strides for Stroke Walk Committee. Without his efforts and the efforts of the others who volunteer to make this event possible KSISA would not be able to continue to provide Stroke education, awareness, and support to the Kentucky and Southern Indiana Community. Thank You. Just because 2014 is behind us does not mean you can't join us for 2015. Its official- the 6th annual Strides for Stroke 5K Walk/Run will be held Sunday, October 4th at 1pm at our new location at EP Tom Sawyer Park! 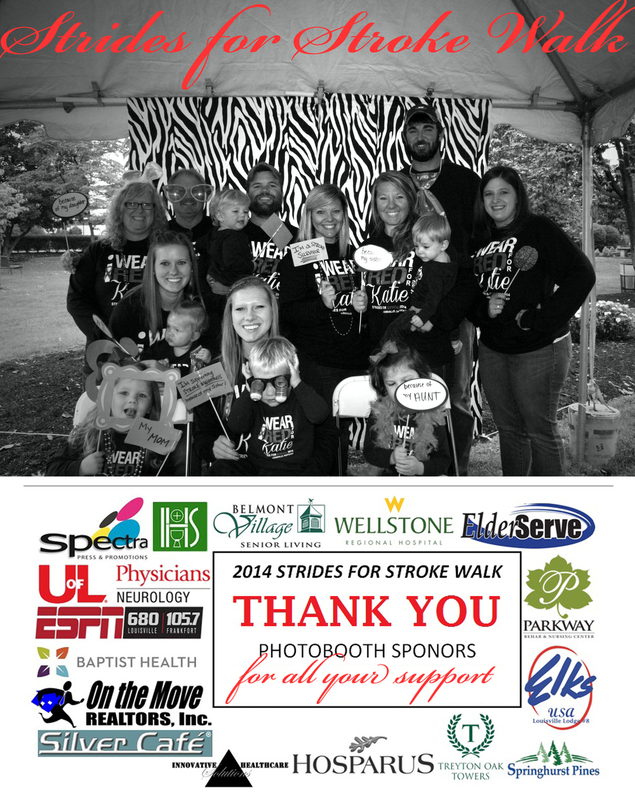 KSISA's 5th Annual Strides for Stroke Walk raised a Record Breaking $13,500. Thanks to everyone who made this possible! Saturday, October 11th 2014. Thank you to our 2014 Sponsors for all you do to support KSISA. Special Thank You to Alisha Duvall for providing the photo booth for the event. 2013's Strides for Stroke Walk was a cold and wet one, but that did not stop the crowd from joining in the fun. Soaking wet the teams step by step pushed the mission of KSISA forward. 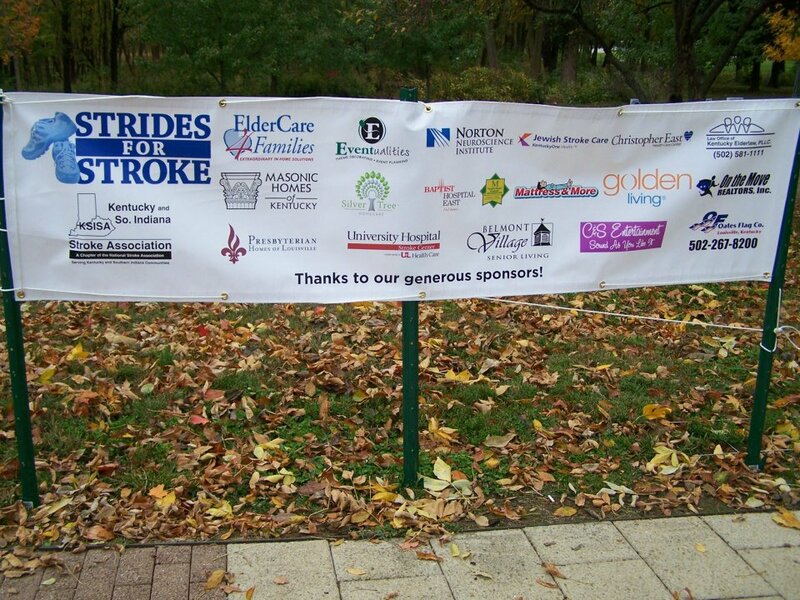 KSISA thanks all of our sponsors for the 2013 Strides for Stroke walk. We would not be able to continue our mission if it was not for support for our fundraising events like the Strides for Stroke Walks. Strides for Stroke Walk 2012 was held at Brown Park in Louisville, KY on Saturday, October 20th, 2012. It started out a chilly morning but that did not stop the community from showing their support. Bringing their family members, loved ones, colleagues, strollers and pets the Kentucky and Southern Indiana residents stepped out for stroke awareness.